E. coli has been found in the drinking water of a southern Oklahoma rural community and its residents are now under a boil order. The Oklahoma Department of Environmental Quality (DEQ) has advised the Cardinal Hill Subdivision Public Water Supply, located in Marshall County, to inform its customers and users of its drinking water that they are now under the order to boil the water. 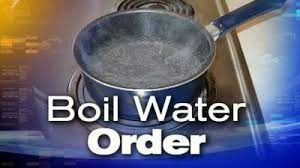 The DEQ is urging customers of the water supply to use water that has been brought to a full,rolling boil for at least one minute, bottled water, or water from another acceptable source for consumption, use in food preparation, dishwashing and brushing teeth. This order was issued due to E. coli in the drinking water. Residents will be notified when the water is considered safe for human consumption. Federal law requires that consumers be notified when a public water supply exceeds certain maximum contaminant levels and might be harmful to the health of consumers.